To the south, beyond the Siab River, are the gloomy yellow-grey hillocks of Afrosiab, full of mysteries. Unraveling them would shed light on the history of the Central Asian peoples. Afrosiab is the name of the mythological king of Turan, who is a heroic character in the poem "Shakh-name" by the great poet Firdousiy. Today, Afrosiab consists of a great number of lifeless hillocks adjoining Samarkand to the north. However long time ago Afrosiab was the place where the life of the ancient Samarkand people was in full swing. This is why Afrosiab interests scientists so greatly. 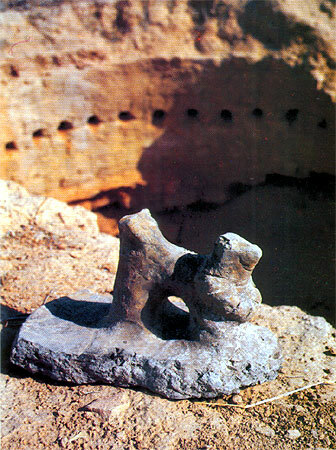 Archeological excavations of Afrosiab began at the end of the 19th century, after Central Asia had been annexed to Russia. 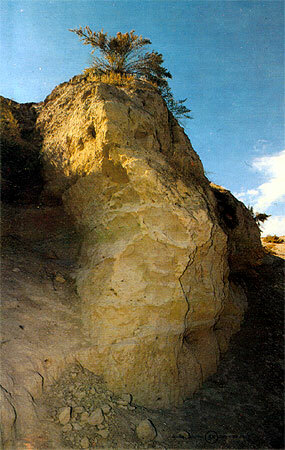 The first excavations were conducted by Major Borzenkov in 1874 and Lieutenant Colonel Krestovskiy in 1883. 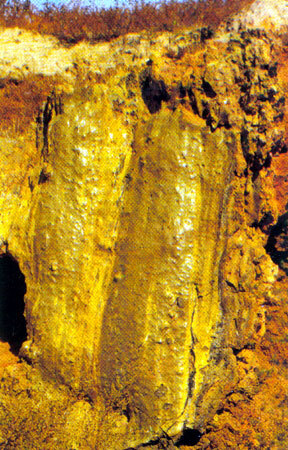 Subsequent excavations, conducted under the guidance of the competent historians and archeologists N. I. Veselovskiy, V. V. Bartold, V. L. Vyatkin, M. E. Masson, A. I. Terenozhkina, and the latest excavations by Professor V. A. Shishkin and Academician Y. Gulyamov, have proved what was claimed in old historical works; that long before the Christian Era, Samarkand had been one of the biggest trade and cultural centers of Central Asia. It has now been proven that the first Afrosiab settlement, in the form of a town, existed more than 2000 years ago. The town was encircled by strong defensive walls, and had a citadel, a mosque, houses and workshops for artisans. The area was crossed by many straight paved streets and divided into blocks, or "guzars". A ramified system of channels and reservoirs supplied the population with water. A barrow opened in 1965 in the center of Afrosiab turned out to be amazingly rich in archeological finds. Since then a new, especially fruitful, period of research into ancient Samarkand has begun. The finds were beyond scientists' expectations. The excavated buildings made of adobe, murals in many colours, inscriptions in Sogdian, utensils, and glassware including tiny glasses and inkpots were a revelation of the rich and original culture of the ancient town. Thus the veil of mystery was lifted. The buildings found were dated the 6th-7th centuries AD. The walls of the buildings were decorated with paintings made with glue paint on a clay surface. 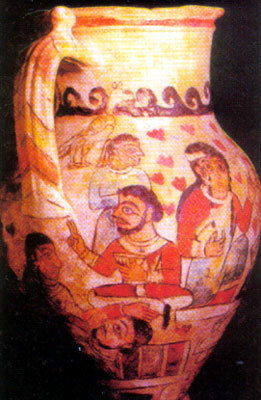 The unique finds prove the high level of original art developed in ancient Samarkand. The Samarkand artists of the first centuries possessed consummate skills, and the viewer is delighted with the combination of colours which have remained bright and rich, with delicate, thoroughly realized details, and expressively depicted faces and figures. The stability and fastness of the paints is amazing. 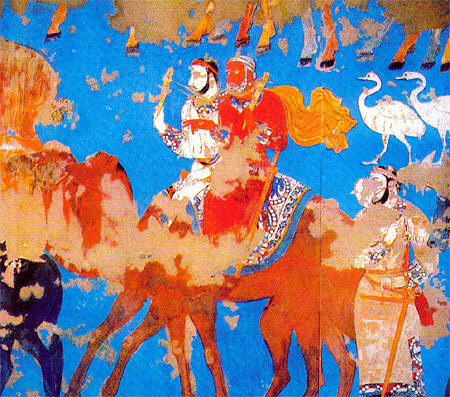 The newly found works of art by the ancient Samarkand masters have taken their honourable place in the history of art of Oriental peoples.